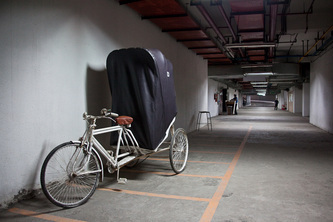 The Camera Rick is a mobile Camera Obscura installation inside an old Delhi cycle rickshaw. 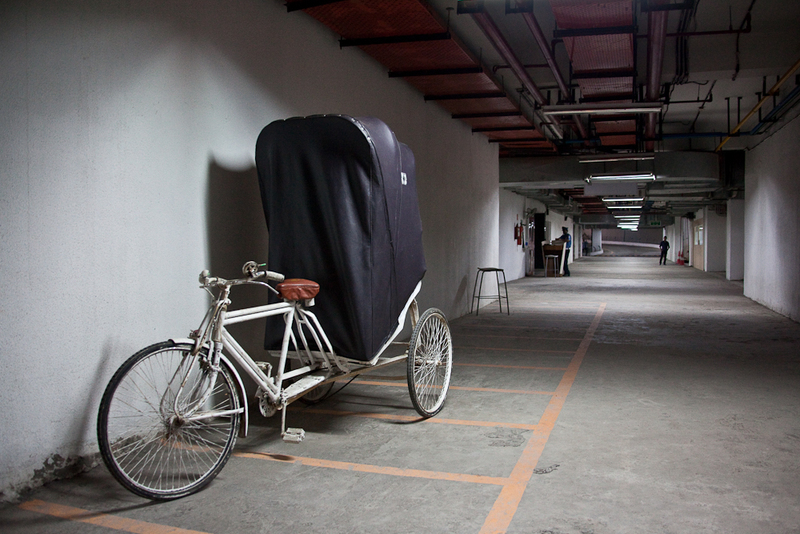 The rickshaw hood has been extended to create a totally blacked-out space around the passenger. The interior is covered in white fabric, which acts as a projection screen. A small hole on the side lets the light in and projects an upside-down image of the outside world which wraps around the wrinkles in the fabric and gets distorted as it moves closer to the image hole. 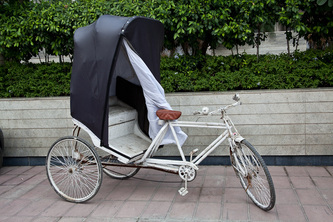 This short movie was recorded inside the Camera Rick as it moved through the streets of Delhi. Moving through the streets of Delhi, the Camera Rick provides a unique experience of the city, allowing the passenger to see without being seen. This project was created during Religare Arts Residency 2011 in Delhi, India.